One of the most desired neighborhoods of NW OKC, Quail Creek has become a wonderfully established neighborhood since it started taking shape in the 1960s. It is home to Quail Creek Country Club and Golf Course, Quail Creek Elementary, local park and ponds. Located between May & Hefner Parkway and bordered by Memorial to the North and Hefner to the South – Quail Creek covers 2 square miles. 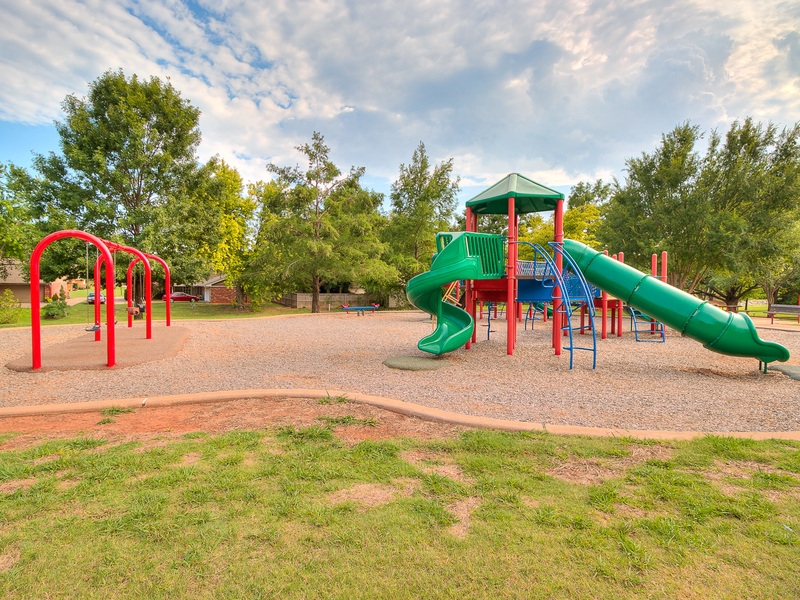 Within a mile of Hefner Parkway and turnpike access – it is a breeze to get across town and is within minutes of Quail Springs Mall, Northpark Mall, Lake Hefner, restaurants, grocery stores, and any other shopping desires you need to fill. No matter what style of home you love – Quail Creek will make your heart flutter with Mid-century Modern, Traditional, Cottage, Contemporary and everything in between! There are many residents who have been there since they have built, but also many homes undergoing remodeling and even some new construction…just be sure to look out for geese crossing as you wind around the curvy and mature tree-lined streets and admire the array of home styles! If you love feeling a strong sense of community, you will be pleased to know that there is an active HOA that puts together numerous social events throughout the year like 4th of July Parade and neighborhood Trick-or-Treating as well as other social gatherings!